When one thinks of all the different Italian “food groups” chocolate does not get a mention in and amongst the different array of amazing “pasta, pizza, risotto” etc. Lest you forget, think how quickly the brand “Ferrero Rocher” has established itself in South Africa with it’s gold wrapped hazelnut chocolate and the family staple Nutella! I bet, that made you think! We hope that this short piece offers some context into the mad love for chocolate by Italians! Italy is not synonymous with chocolate in Easter but to Italians and those in the know, chocolate is just as common in Italy as it is in say Belgium or Switzerland and some might say just as important. The cacao bean made its way to Northern Italy via Spain. iN the beginning of the 1800s in Turin, experimentation began on a machine that was able to solidify chocolate by mixing cocoa, vanilla, water and sugar. 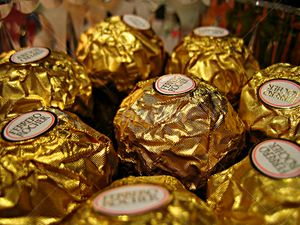 Turin became the hub in which techniques for preparing chocolate were refined and then exported to the rest of Europe. To cut a long story short, chocolate factories began to spring up in the mid-nineteenth century and those included the still famous Caffarel, Majani, Pernigotti, Venchi and Talmone. 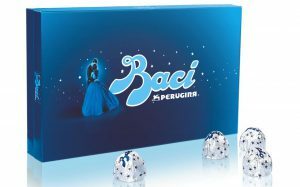 Famous brands such as Perugina, Novi, Peyrano, Streglio, Unique and Ferrero all developed in the last century. In one way or the other the entire Piedmont region contributed to the development of the chocolate industry in Italy and in the rest of the world. 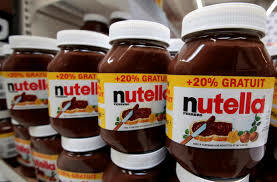 It was, for example, the Alba-based company Ferrero which made the local pasta gianduja, a hazelnut and chocolate paste, world famous under the name Nutella. 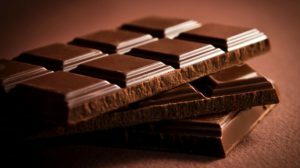 Turin also host a yearly must-be rendez-vous for chocolate connoisseurs around the world, the 10-day-long chocolate fair CioccolaTo, running from the end of November through the beginning of December. One of the best offers in Turin is the Choco Pass which enables you, for a fee to visit up to 22 participating outlets to indulge in chocolate tastings over a 3 day period. Speechless!! There is no end to the delicious chocolate creations that have originated in Italy from hot chocolate drinks to amazing torta. Go back in our blog to see the Torta Caprese recipe we made in The Flavour Academy last year, chocolaty, easy and delicious. We hope you get to try our own in store chocolate creations made with love for you! Finally we have created a new dish which we will preview this week as one of our surprise and delight moments for the month of March. We would like to take this opportunity to advise that we will be open on Good Friday and from the whole Cafe del Sol team we wish you a fabulous Easter.